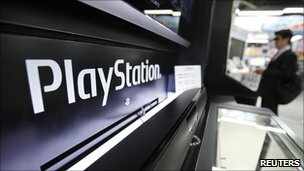 Japanese electronics giant Sony has reported a loss of $3.1bn (Ã,Â£1.9bn) for the year to 31 March. The net loss was largely due to writing off $4.4bn related to a tax credit, and Sony added that the stronger yen had also affected earnings during the year. Sony's business was also affected by the earthquake in Japan in March. This is the third successive year that Sony has reported a loss. However, it forecast that it would return to profit in the current financial year. Sony said that it was seeking to improve its profitability by cutting costs, and has forecast a profit of 80bn yen ($976m; Ã,Â£600m) for the current fiscal year. The Japanese manufacturer has faced many issues in the past few months. Its production was hit by disruption to supply chains following the earthquake and tsunami on 11 March in Japan. Last month, Sony was hit by cyber attacks that targeted its PlayStation Network and Sony Online Entertainment services, which led to the theft of personal data that included names, passwords and addresses of more than 100 million accounts. The company has estimated the data breach will result in a $170m hit to operating profits in terms of insurance and damages costs.